Celebration in the Oaks is off to a great start! What? You have yet to visit? Get out here! 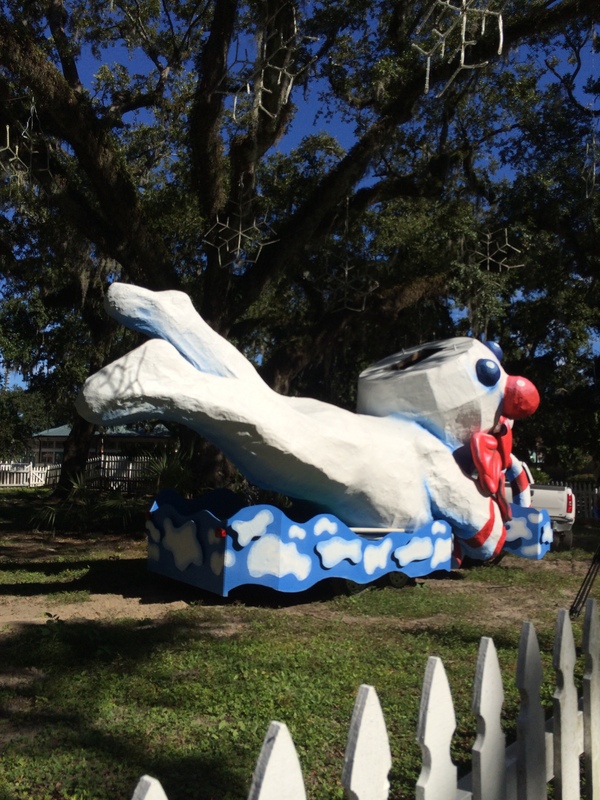 There’s dinosaurs, butterflies, leprechauns, and a lochness monster in Bayou Metairie! Plus fun amusement rides including the mini train and historic Carousel. You won’t want want to miss out – and you don’t have to! Running each night from now till 1/4/14 (closed 12/24 & 12/31) – get your tickets online and join in with all the fun! 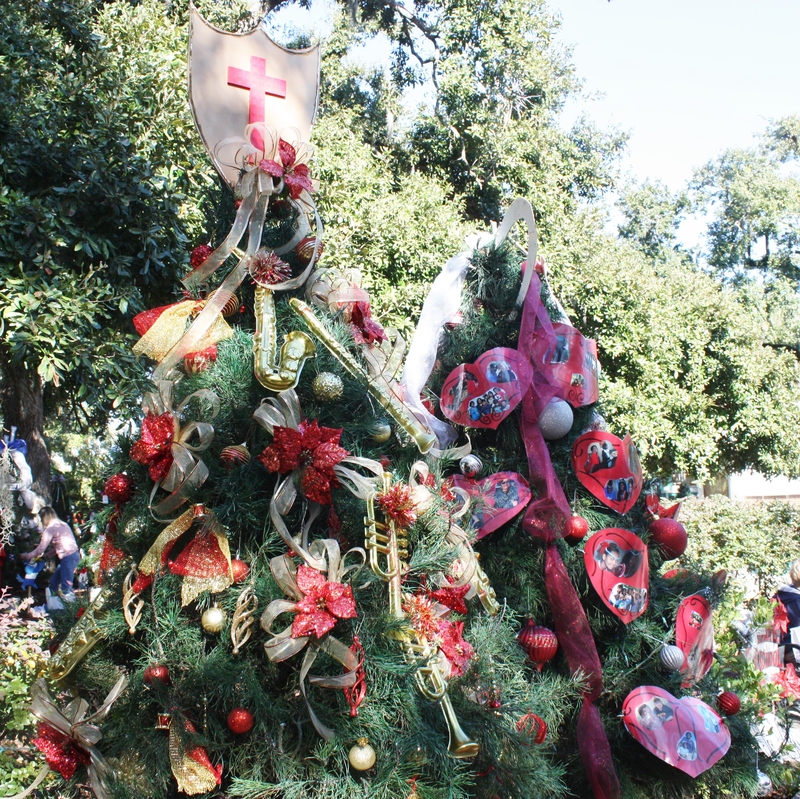 Last month, New Orleans City Park wrote a blog article explaining who decorates the Christmas trees each year at Celebration in the Oaks. 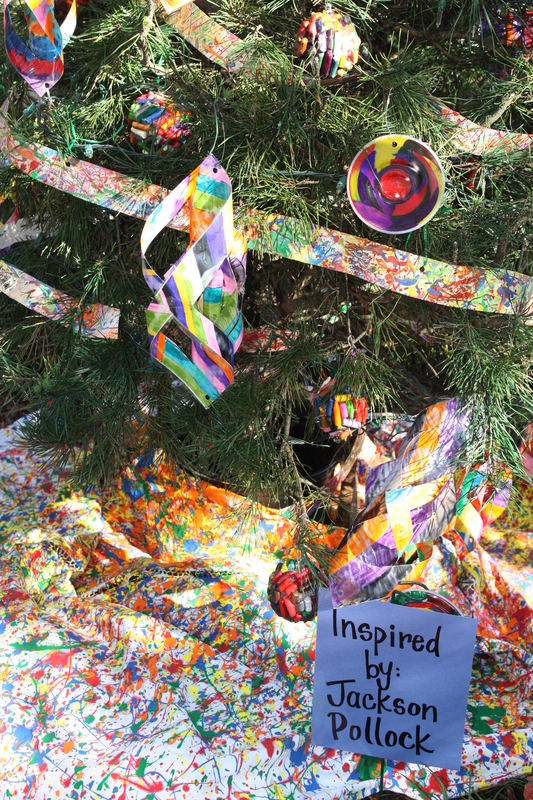 You can read that piece here – and we’re letting you know – there are some real stellar trees this year at Celebration in the Oaks. We’re very impressed! 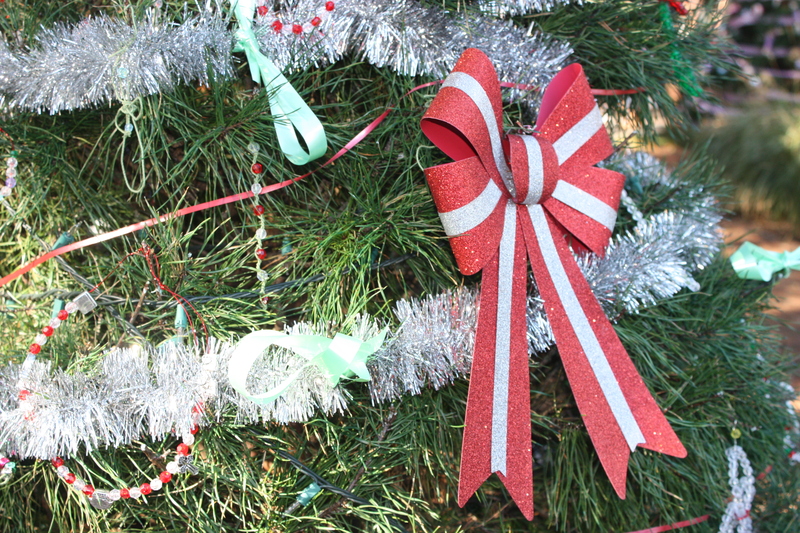 Each year, after groups pick up their ornaments from the trees when Celebration in the Oaks is completed, a few ornaments are typically left behind. 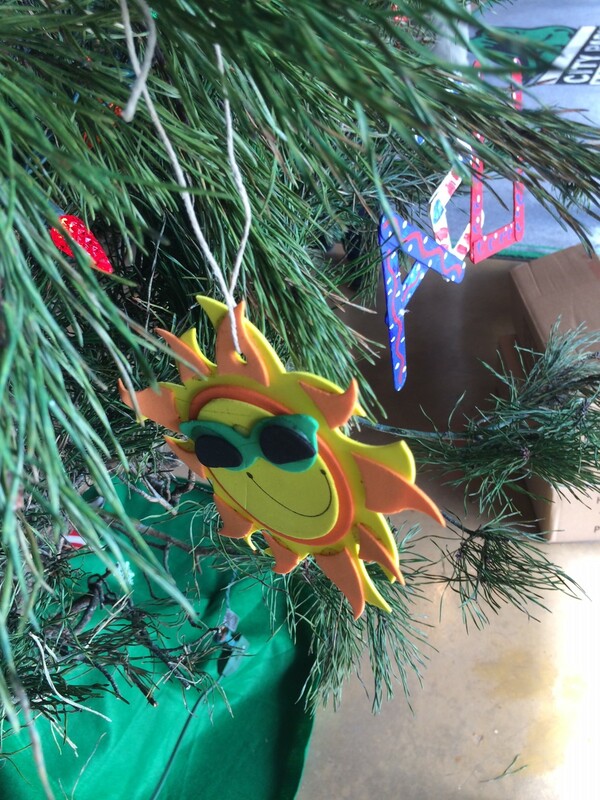 City Park has made a habit out of rescuing these ornaments and using them the following year on their tree in the lobby of the Administration building. 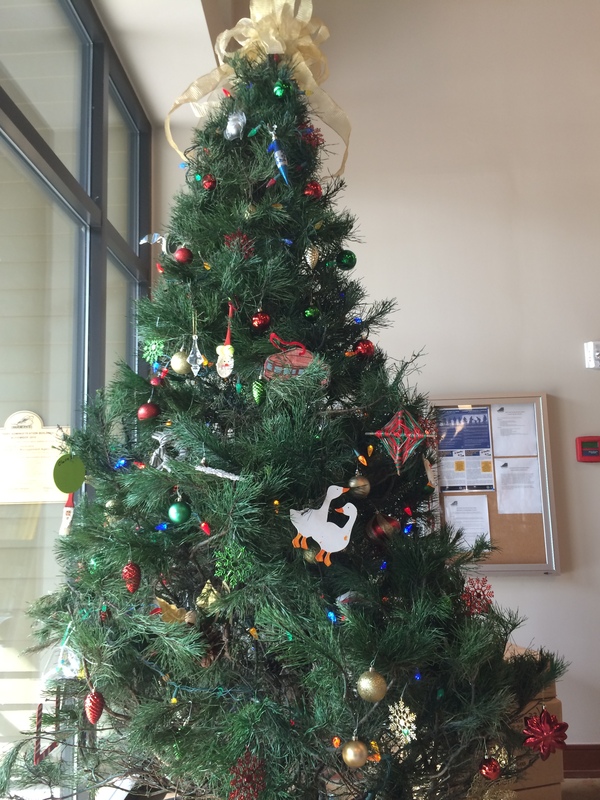 When you’re in the Administration building between now and the end of December we invite you to take a look at the tree and its special ornaments. 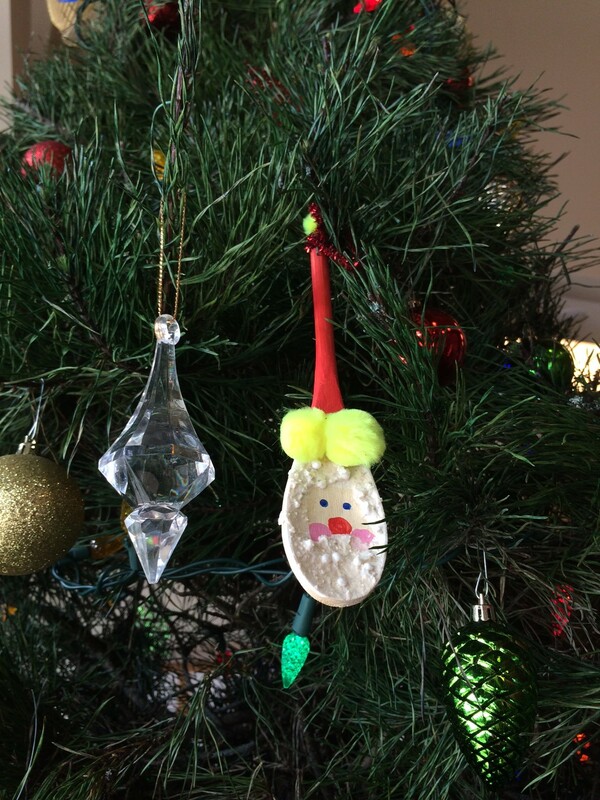 Here is a preview of some of the ornaments on the tree. 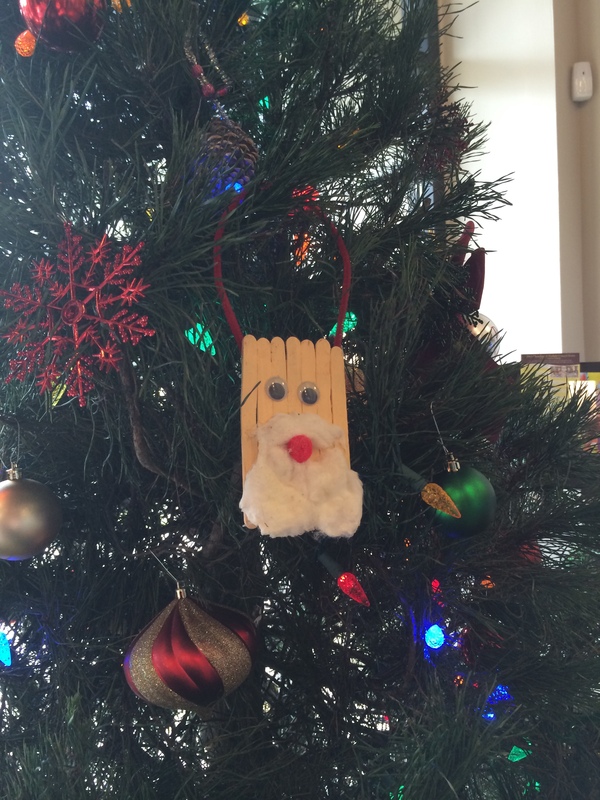 And every great tree needs a great tree topper! A big bow! You can visit Celebration in the Oaks nightly through January 4, 2014 (closed 12/24 & 12/31). What’s open on Thanksgiving day in City Park? 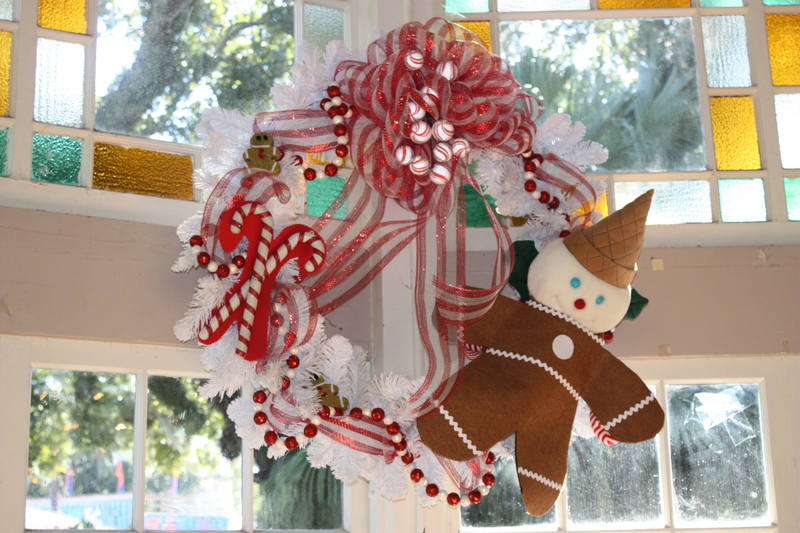 Those are some good lookin’ Mister Bingle wreaths! 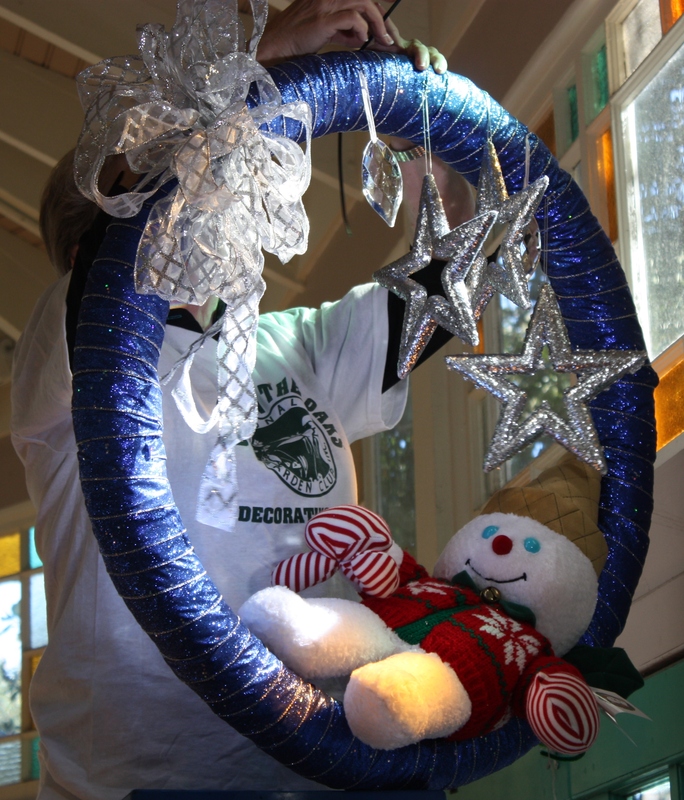 Each year Garden Clubs from around the metro area decorate wreaths to be placed around Celebration in the Oaks. Every year there’s a new theme but it always includes Mister Bingle. 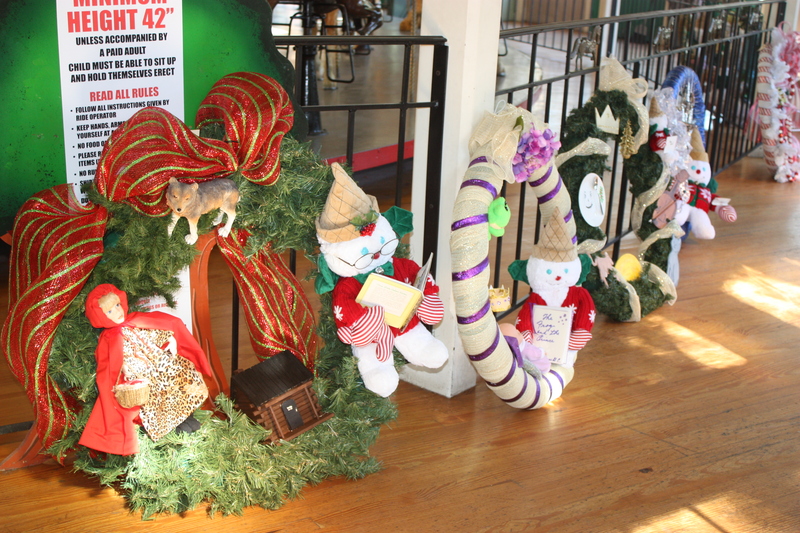 The Garden Clubs work very hard each year to create fun and inventive wreaths. The wreaths are placed around the interior of the Carousel. During previous years, the wreaths were in other buildings including the Lath House in the Botanical Garden. 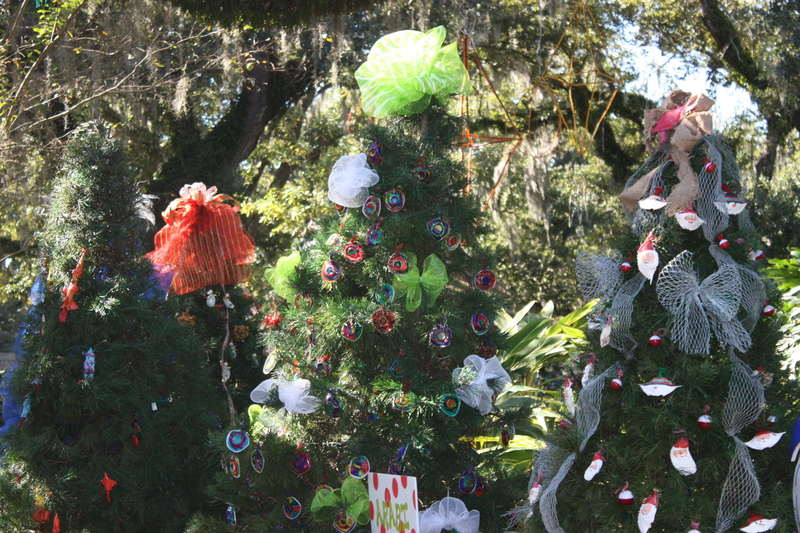 You can view all the wreaths this year at Celebration in the Oaks. 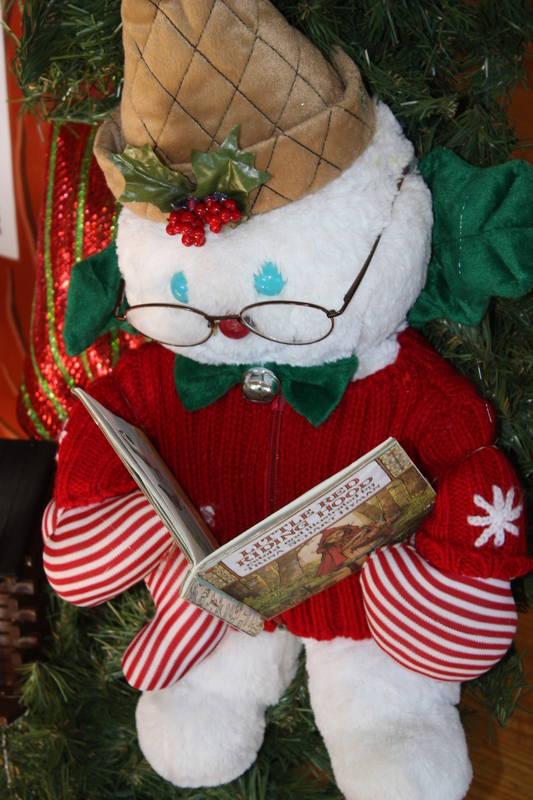 When you see the wreaths, try to guess which nursery rhyme/fairy tale Mister Bingle is reading to Prince George! 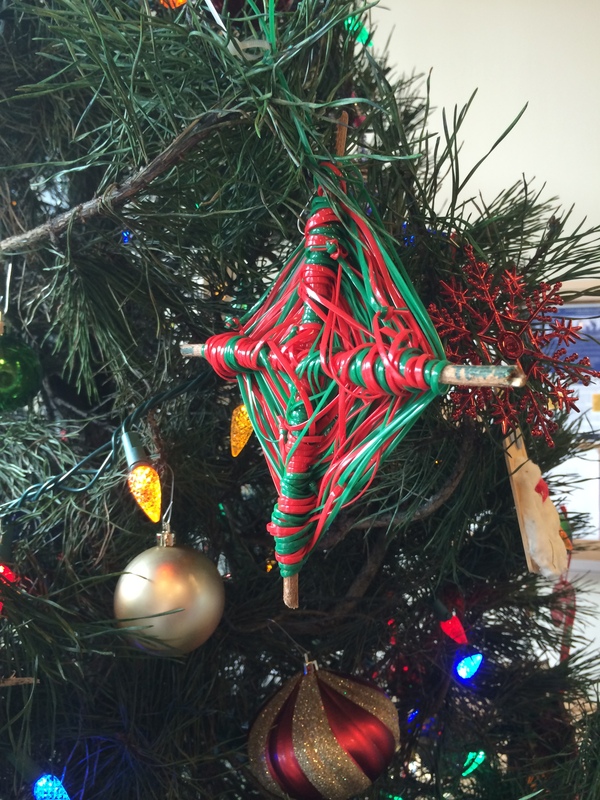 Who decorates all the Christmas trees at CITO? 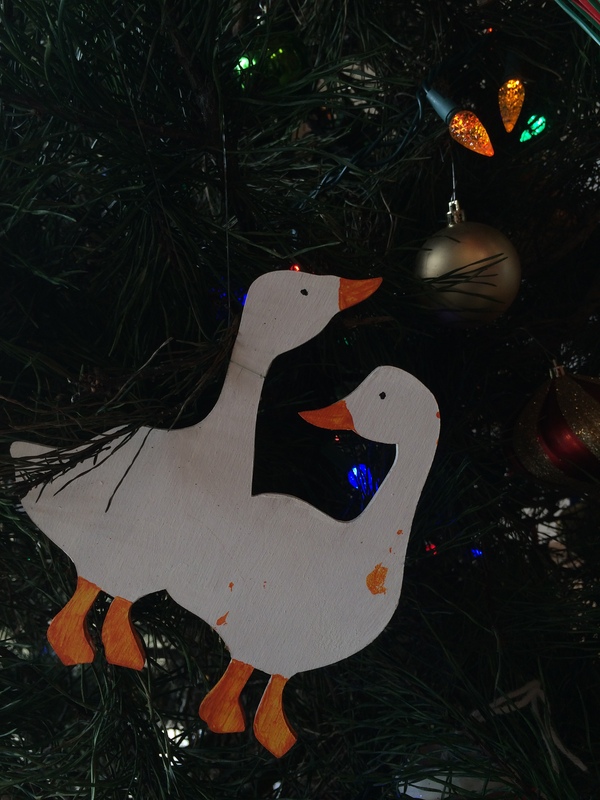 Who decorates all the Christmas trees each year at Celebration in the Oaks? 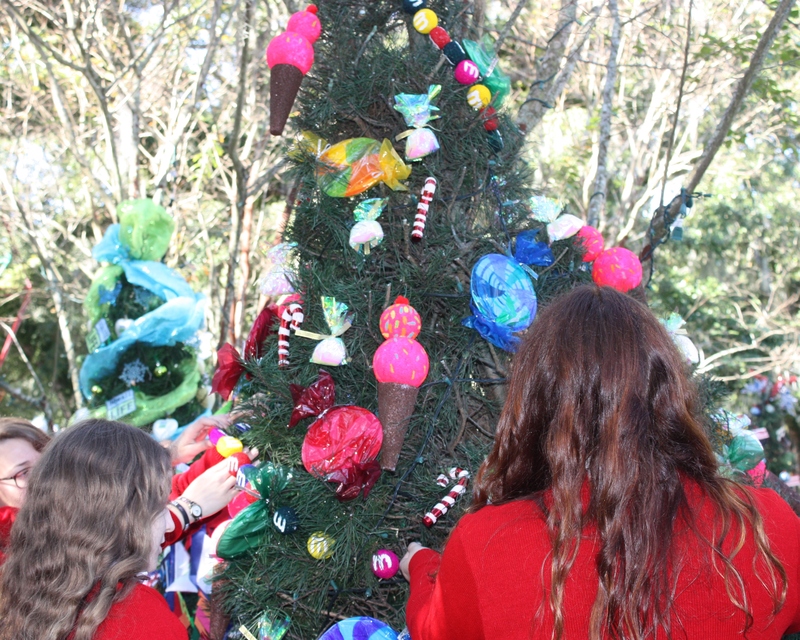 Each year area school, groups, and local non-profits decorate the trees in the Celebration in the Oaks Christmas Tree Decorating Contest. Each year the Celebration in the Oaks staff votes on the best tree and the winner gets the contest fee waived the next year. 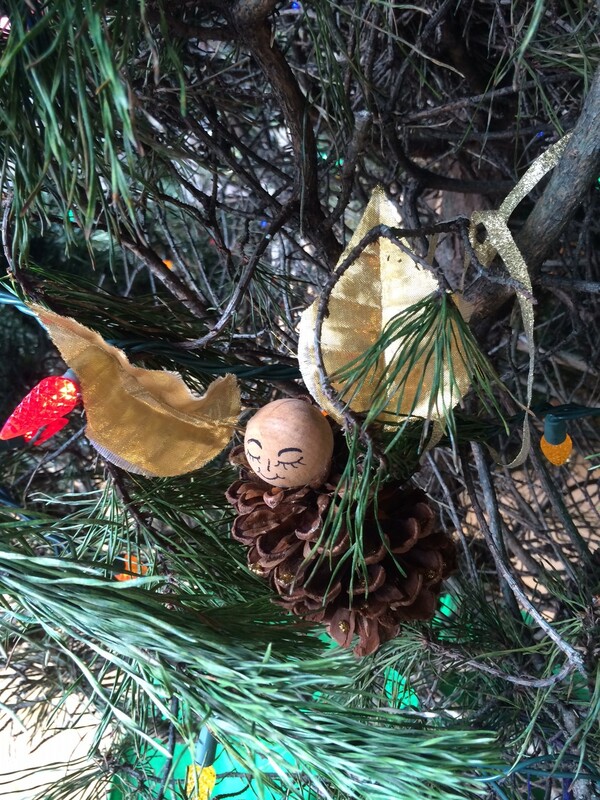 The trees are decorated with a variety of themes. 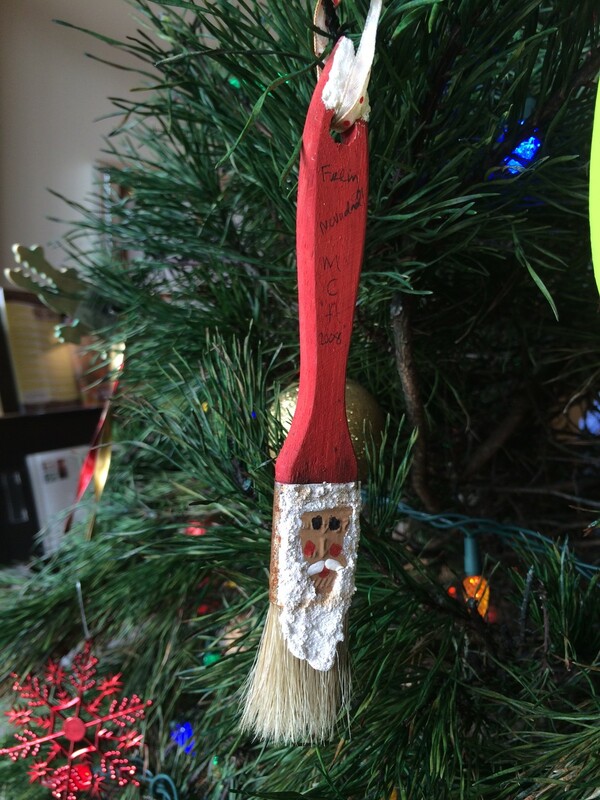 We’re always excited to see so much creativity! Sunday – Thursday : 6 p.m. -10 p.m.
Friday & Saturday: 6 p.m. -11 p.m. Interested in participating? Registration begins in March of each year. Email Julie at JLaCour@nocp.org in March for details. 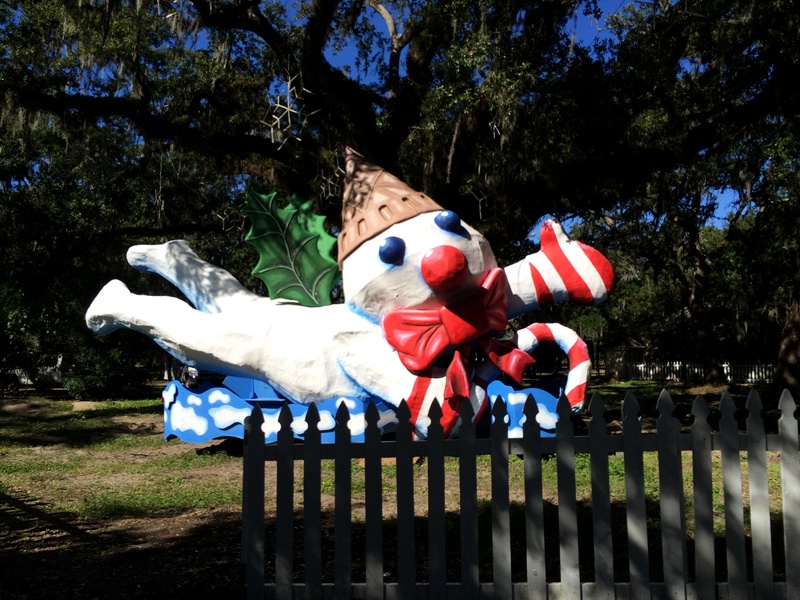 Every New Orleanian knows who Mister Bingle is, but do you know he spends at least 2 months of the year at New Orleans City Park’s premier holiday event Celebration in the Oaks? He sure does! Since joining the Celebration in the Oaks family in 2005 Mister Bingle’s been a huge part of the tradition and 2013 is no different. Mister Bingle arrived in style to the CITO warehouse. You might notice he’s looking good! He’s had a bit of work done – a tummy tuck and face lift maybe? We’re not telling! But in all seriousness, Mister Bingle did indeed get lots of TLC in his ‘off season’. 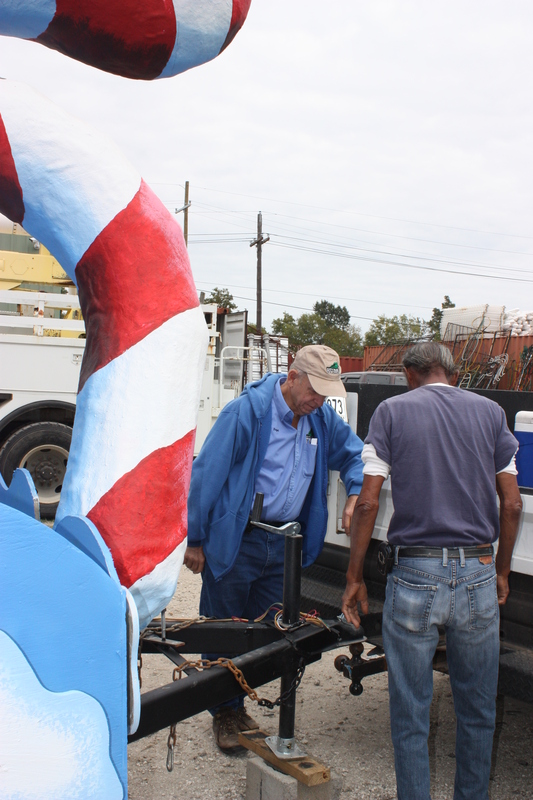 Celebration in the Oaks staff then transferred him to a City Park truck to bring him into Carousel Gardens and his place of honor where everyone can see him come November 29, when the event opens to the public. TA DA! He’s here! But wait, he’s missing his ice cream cone hat and holly wings! Don’t fret, the hat and wings are attached separately so they don’t get damaged in transit. 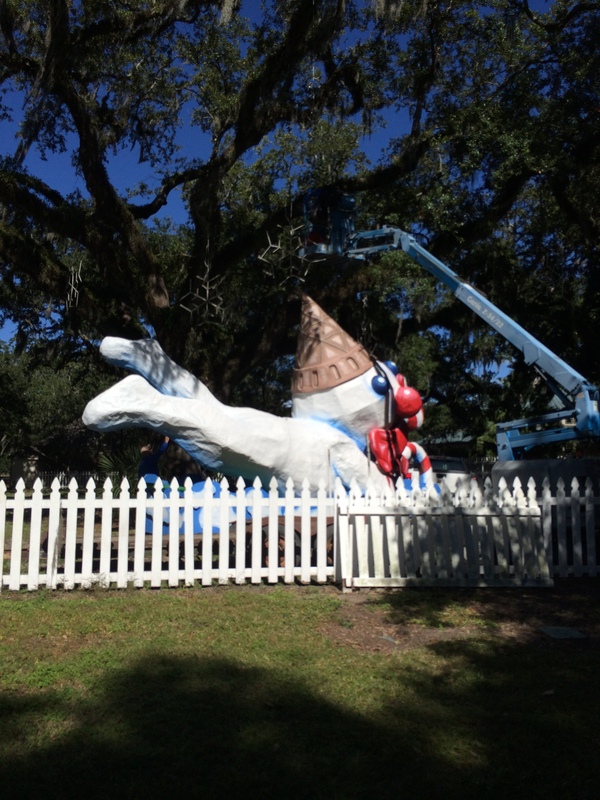 The hat is placed on Mister Bingle with the help of a bucket truck. 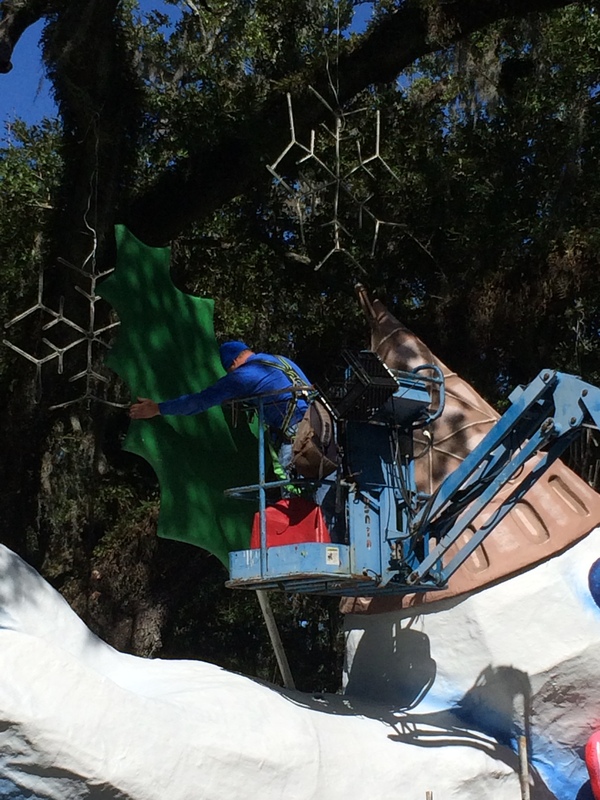 One staff member is in the basket of the bucket truck while another staff member is inside of the top of Mister Bingle’s head in order to bolt the hat on Mister Bingle’s head from the inside. 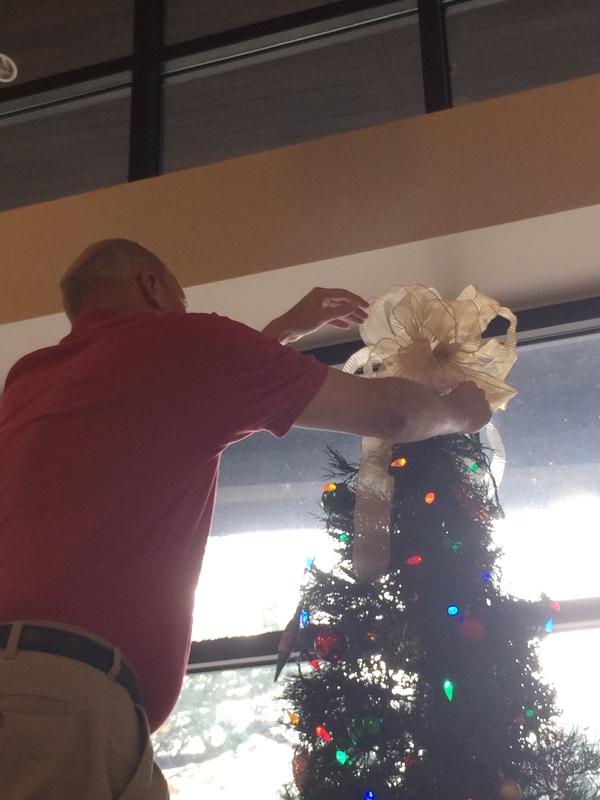 Next, the staff places Mister Bingle’s holly wings in place. And … drum roll please! Mister Bingle’s ready to see his public! 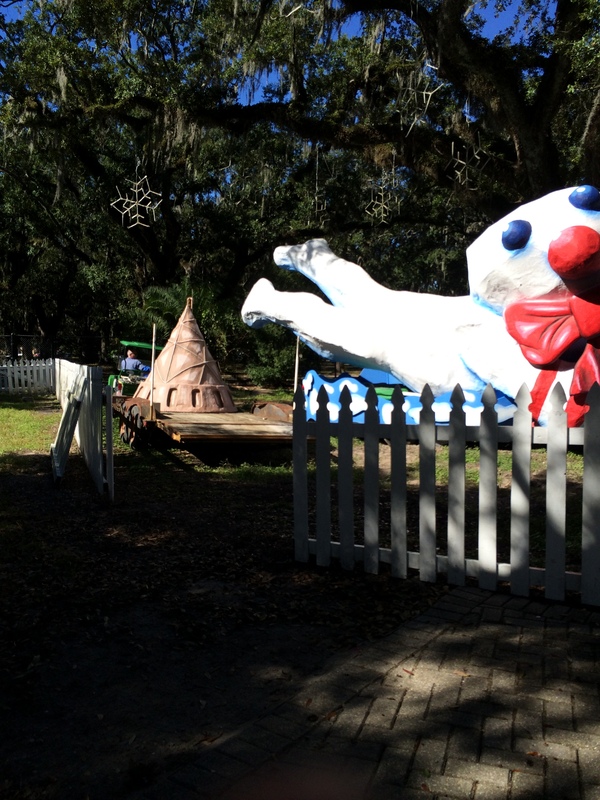 When you visit Celebration in the Oaks be sure to stop by and see Mister Bingle. He loves his photo taken. As your group enters the Amusement Park, he’s on the left side of the sidewalk just before the Who Dat tree. 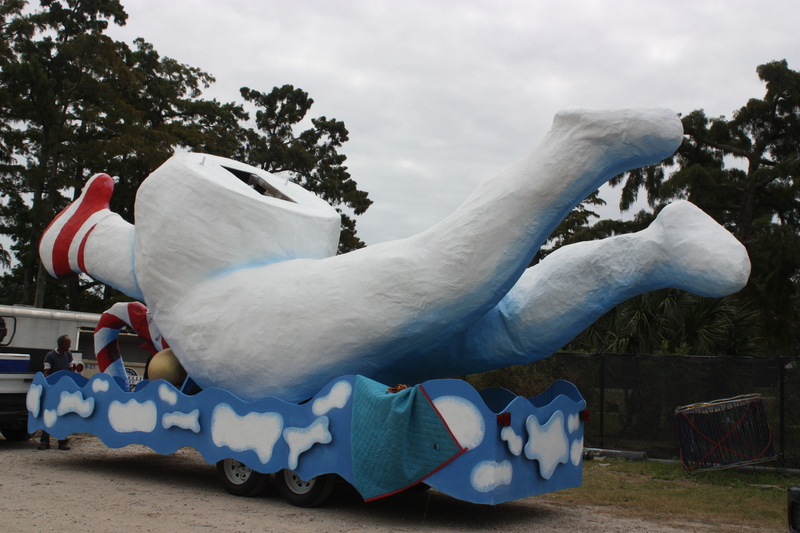 Feel free to post your photos with Mister Bingle on our Celebration in the Oaks Facebook page. You can also follow Mister Bingle on Twitter and Instagram. He’s quite a character! But then again, he’s from New Orleans so that’s no surprise! Click here to buy tickets to Celebration in the Oaks. We’d love to see you there! We’re makin’ our lists and checkin’ them twice! Gettin’ everything ready! 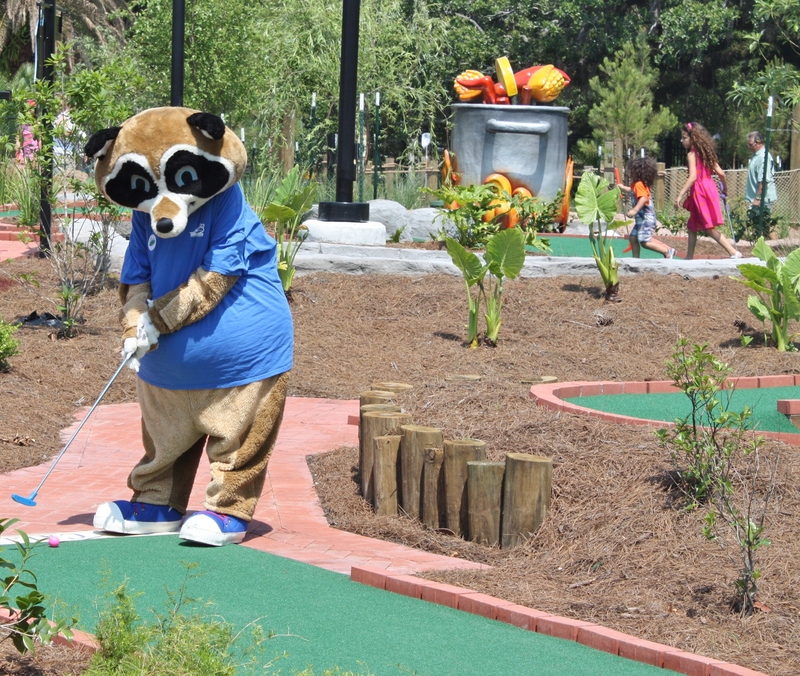 We’ve been working hard at the Park getting everything ready for Celebration in the Oaks 2014! We know you’re going to love the new exhibits and love seeing the traditional ones, too. 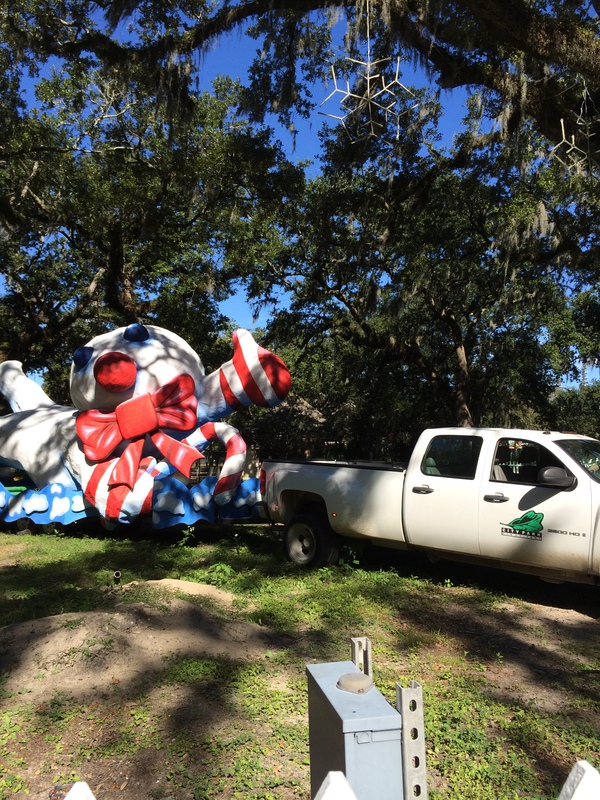 Check out this video to see more and to see a sneak peek at one of the new installations called “Sea-Labration”. You can be part of the Celebration in the Oaks magic early by attending the Preview Parties. The Preview Party for those 21 and up is on 11/22 and the Family Preview Party is 11/24. You can get more information including ticket pricing at http://www.CelebrationInTheOaks.com. 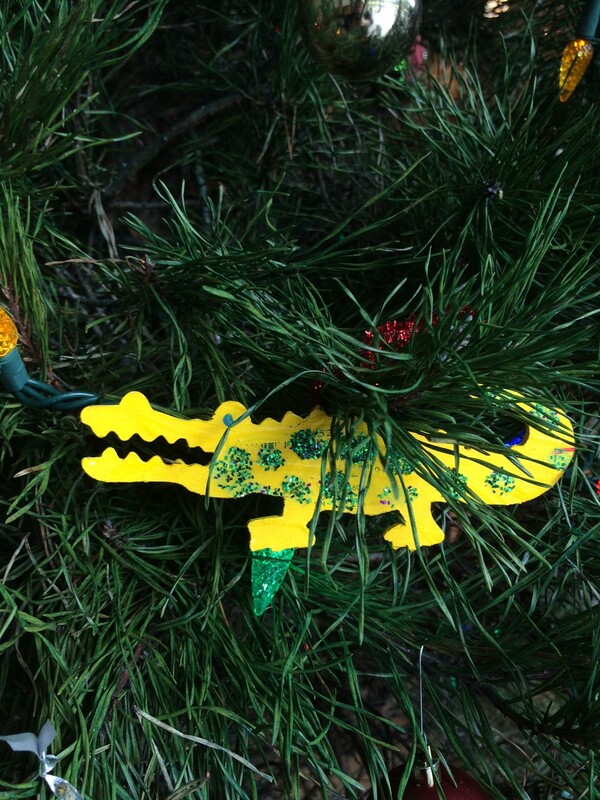 Celebration in the Oaks runs 11/29-1/4/14 (closed on 12/24 & 12/31). Beware! 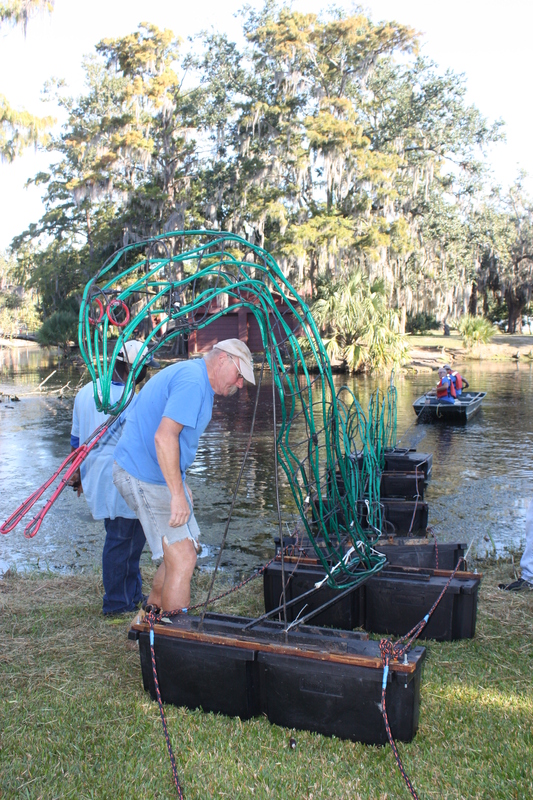 The lochness monster’s getting put into Bayou Metairie today! 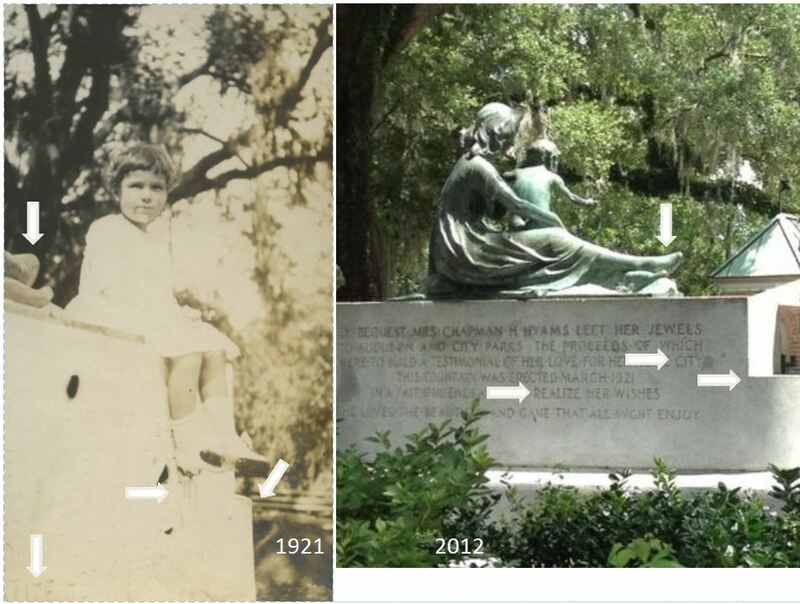 Have you noticed the Hyams Fountain as you walked down Victory Drive or into the main entrance of Carousel Gardens? Like so many special pieces in the Park, this fountain has a story. 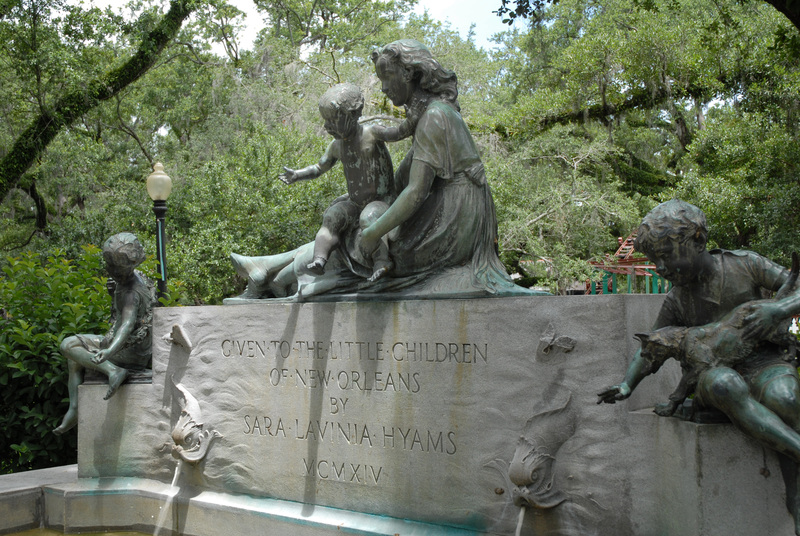 New Orleans philanthropist, Sara Lavinia Hyams, died in 1914, bequeathing her jewelry collection, valued at $30,000, to be sold and the profits used to construct a fountain in both Audubon Park and New Orleans City Park, for the children of the city. The fountains–which are actually more like wading pools–were duly constructed and provided a place for young children to splash and cool off in the summer heat. City Park’s fountain is just inside the gates of Carousel Gardens and is home to ‘Victoria the Unicorn’ at Celebration in the Oaks at New Orleans City Park (www.CelebrationInTheOaks.com). Hyams also left a sizable collection of paintings to the New Orleans Museum of Art. A short walk down Victory Drive from the fountain brings you to the back of the museum. Follow the round building to the front doors and enjoy! Recently through a patron responding to a Facebook request for photos to add to our archives the Park acquired a copy of a photo from 1921/22 of what we were later able to deduce was the Hyams Fountain. 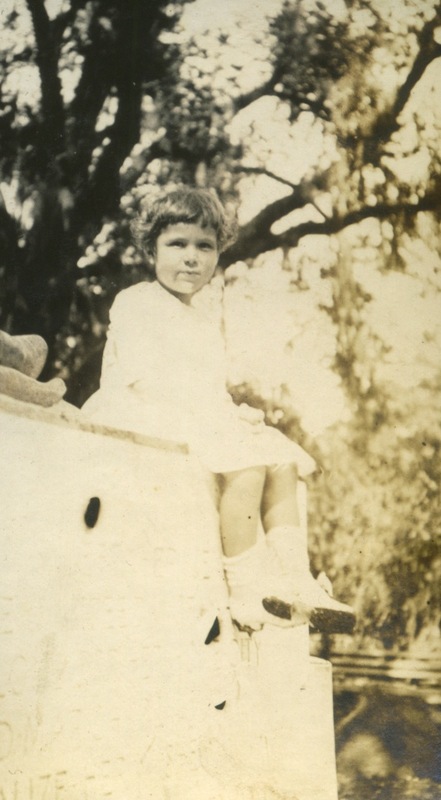 (see photo of small child sitting on the back portion of the fountain.) 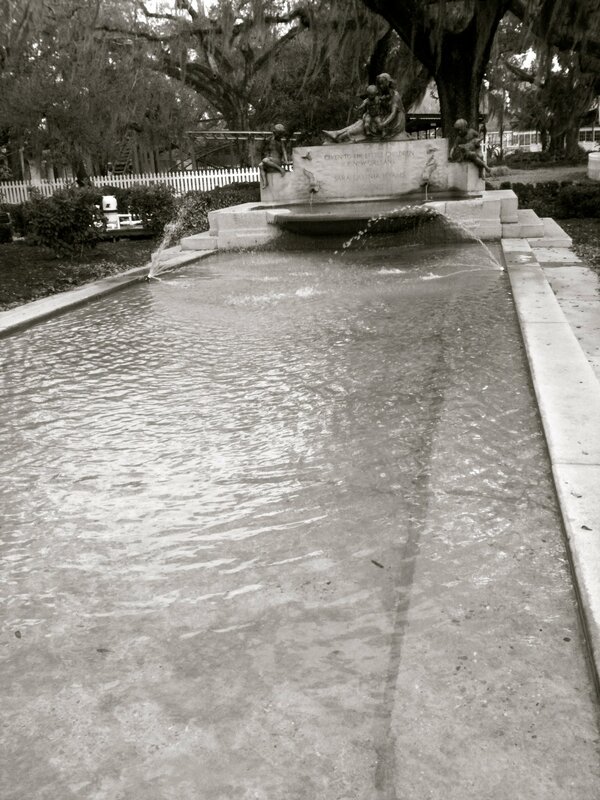 This photo is now our oldest photo of the fountain. We were thrilled get the photo as well as be able to use clues in the photo to show that it was indeed The Hyams Fountain.